Home / Will I Be Required to Reimburse My Health Insurance Company After I Settle a Personal Injury Claim? When you suffer a serious injury in an auto accident, or any other type of accident that was caused by another person’s negligence, you seek medical care and your insurance company pays the bill. However, if you take legal action against the responsible party and prevail, you may receive a settlement that includes compensation for your medical expenses incurred because of your injuries from the accident. 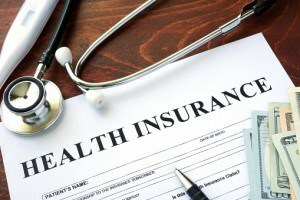 If your insurance provider covered your medical expenses, and then you received payment for your medical expenses in the settlement, you have essentially been reimbursed twice. In a case such as this, your health insurer is going to come looking to be reimbursed for the amount they have already paid. Sam was injured in a rear-end auto accident, which required surgery to repair a back injury and a leg injury. His health insurer covers the $90,000 in medical expenses after the accident. While he is recovering, Sam works with a personal injury attorney who files a lawsuit against the at-fault driver. After the settlement with the insurance company for the negligent driver, Sam receives $160,000, which is supposed to cover his medical bills, his lost wages, and pain and suffering from the accident. Sam’s health insurance provider would claim that it is entitled to $90,000 of the settlement, his lawyer would receive his portion and Sam would get the remainder. Often times, however, an experienced personal injury attorney will be able to negotiate a settlement with your health insurance company. So in the example above, the lawyer may be able to negotiate a pay back of only $60,000, thereby saving Sam $30,000. Whether the subrogation claim is negotiable depends on many different factors. What would have happened if Sam did not pursue a negligence lawsuit against the other driver? His health insurance company might pursue subrogation on their own in order to recover their costs. If they are successful in recovering their costs and the amount of your deductible, they must reimburse you. The issue of who is at fault in an accident, and which insurance company will ultimately be responsible for payment may not be determined until after the accident investigation has been completed. Bottom Line: Yes, your health insurance company will get reimbursed when you receive a settlement that includes medical expenses after an accident. When you work with a Memphis personal injury attorney from Bailey & Greer, PLLC, they understand the complex issues regarding subrogation. They can review your insurance policy to verify what you agreed to and will negotiate with the health insurance company if necessary. We understand insurance law in Tennessee and we do everything in our power to make sure that you get the best settlement possible, and that you can keep as much of it as possible. If you would like to discuss the details surrounding your car crash with an experienced personal injury attorney, you are welcome to call Bailey & Greer, PLLC, at 901-475-7434 or fill out our contact form to schedule a consultation to discuss your case. We are proud to serve clients in and around Memphis, Jackson and West Tennessee.